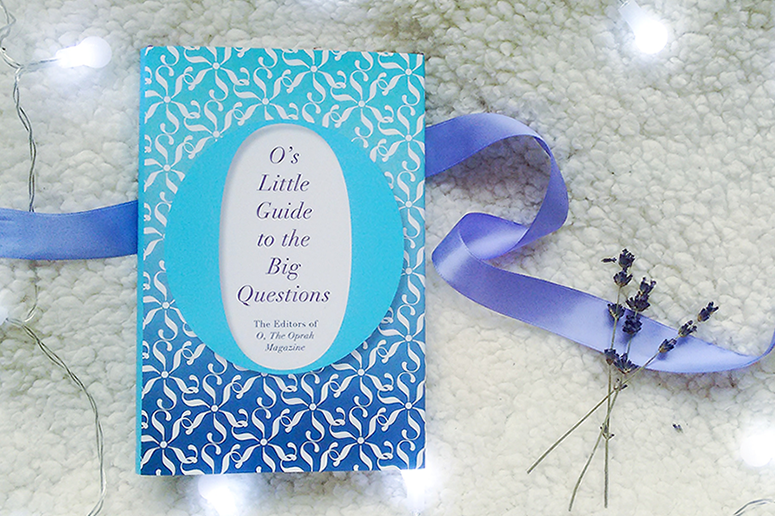 O's Little Guide to the Big Questions is an extremely well-curated collection of empowering non-fiction essays, short stories and quotes that have previously appeared in O, the Oprah Magazine. They cover topics such as life and death, religion and spirituality, loss and love, and finding happiness and fulfillment, in raw and evocative ways. An eclectic mix of authors have contributed to this stunning book, each with their own unique voice and story to tell, creating a hugely varied collection of stories. Though they all work really well-together, complimenting each other in unexpected ways. Some are thought provoking, others are inspiring and yet others extremely moving in their brazen honesty, especially in those moments where the author shares a personal tragedy. Yet despite the sheer variety of writers and subjects present within this little tome, each of the contributions felt hugely relatable. It's a testament to the incredible authors for turning their experiences into words that will not only make the reader think, but that also create a beautiful connection. This is especially admirable considering the short length of most of the stories; each word and each sentence carefully selected to leave a powerful impact upon their recipient. Even on their own, disconnected from their respective stories, these quotes leave a powerful impact. Needless to say the full essays and shorts they're taken from are even more excellent and will most definitely provide plenty of inspiring food for thought. The big questions discussed within this book aren't things that feel beyond comprehension for the average person, such as 'What truly happened to the dinosaurs?' or 'How much time do we have left on earth?'. Instead they're far more important questions for you as an individual that force you to think and ask yourself: 'What do I believe in? ', 'What is truly important in my life?' and 'What makes me happy? These are questions that are perhaps difficult – almost impossible – to answer, but this beautiful little book filled with inspiration and wisdom will provide some guidance to empower you and help you on this never-ending journey. O's Little Guide to the Big Questions is published by Pan Macmillan and you can get your copy from Foyles or your own preferred retailer.